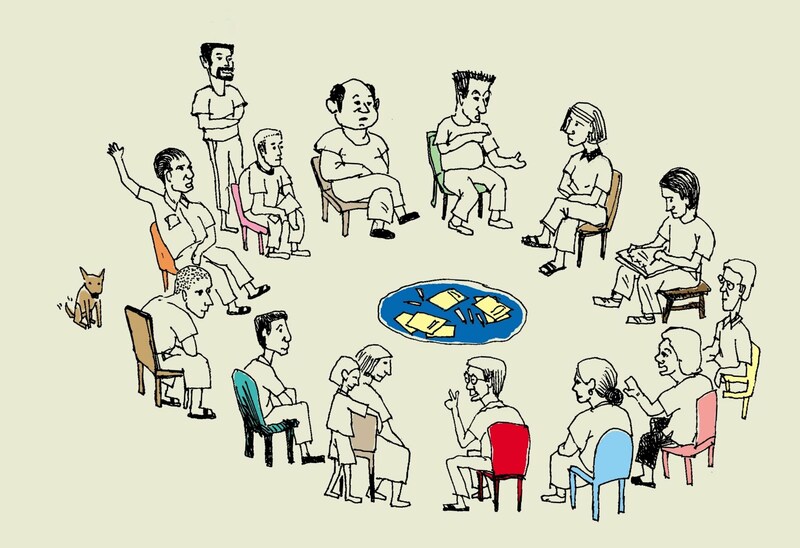 longer term participatory strategic initiatives and even organizational design…. Invitation is a VERB: If you are inviting people to a gathering using a single static email or a poster, you aren’t doing enough, in my experience. Invitation requires you to be active, in relation and dialogue. The interaction between inviter and invitee creates a connection and a commitment and kicks off the design. My friend Christie Diamond one time remarked “The conversation begins long before the meeting starts…” and that captures perfectly the idea of an active invitation. 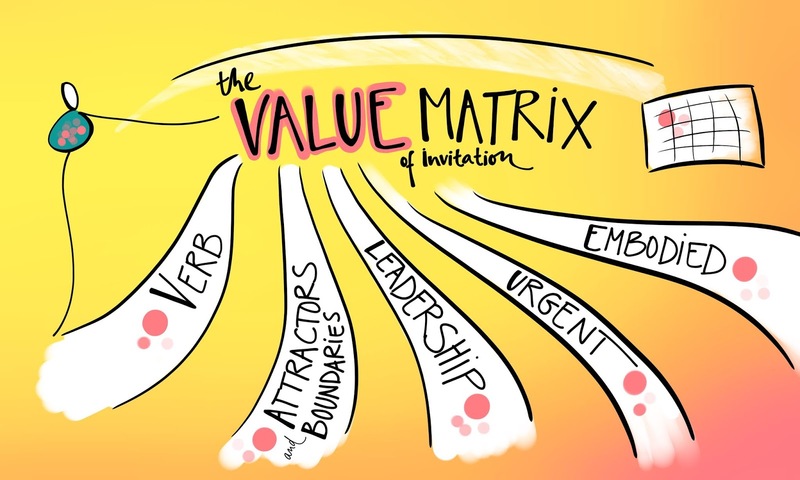 Invitations are made from ATTRACTORS AND BOUNDARIES: It’s obvious that an invitation should have a purpose at its centre, but it should also include a statement of the boundaries of the container you are inviting people into. This could be a clear sense of what we are NOT doing, or it could be a cost associated with coming (time, money, attention, commitment). Peter Block says a good invitation contains a barrier to overcome to assure that the person reading it will respond with an authentic yes or an authentic no to what is on offer. Attractors and boundaries together help to define the container inside which the work will unfold. Invitation is LEADERSHIP: When you invite people to something you are taking an active leadership role. You will confront all kinds of emotional states in yourself, ranging from excitement to anxiety. You are taking a stand for something, especially if you are inviting people to something new and there may be times when you are the only one with a strong sense of possibility about the work. Good invitation requires people to practice good leadership. Invitations respond to an URGENT need: in chaordic design, we go to need first, to understand why something is necessary and to be able to reach people who also feel the need. 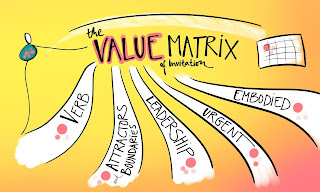 The more an invitation can respond to the zeitgeist of the moment, the more energy and focus people will have coming into your container or your process. Finally, invitations are EMBODIED: You cannot just send a text, or invite somebody to something while signaling your distinct lack of invitation with your body and behaviour. …. How are your invitations?